A well known British Islamist preacher, Hamza Tzortzis, has turned up on the Ashley Madison user list that was leaked by hackers earlier this week, according to his own Facebook page. 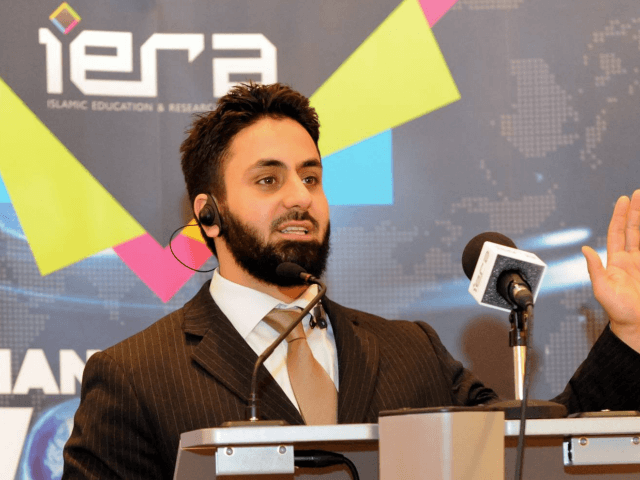 Tzortzis, who is a prominent member of the Islamic Education and Research Academy which tours British universities posted yesterday that he had been tipped off that his details were included in the leak, but denied ever using the extra-marital dating service. He is best known for his debates with atheist Richard Dawkins, but Tzortzis has also made statements flagged up in the British media in recent years. He has claimed that those who leave Islam “should be killed” as well as arguing that beheading is painless. He has also argued in favour of setting up an Islamic caliphate. It has come to my attention that my details are on the Ashley Madison data leak. This includes my name, address, and bank card details. This is an obvious case of fraud. My email address (this website doesn’t verify emails, and all the relevant emails went to junk) can be found online and so can my address, as it is linked to my business account, which is registered online. My date of birth is known from either previous lectures or Facebook. These types of online attacks are not uncommon, for example in the past year there have been multiple attempts to access my emails. The first transaction, he said, took place in October 2014, just a short while after Tzortzis returned from his Hajj (pilgrimage) to Mecca. He explained that he had not looked at his bank statements in detail for many months, and asserted that he was taking the matter up with the police. But not all of his followers were convinced by his reasoning. Critical comments on Tzortzis’s Facebook page began disappearing late on Saturday night. Breitbart London took screenshots of some of the more critical ones before they disappeared altogether, which most have as of Sunday morning. My whereabouts and activities, both private and public are traceable and recorded, and there is without any doubt that I have not pursued such immoral acts that the site promotes (this includes permissible acts, for instance the endeavour to find another halal wife [who can also be a non-Muslim] who wanted to be with a married man, which is allowed in Islam). My face is recorded when I enter and leave work, and the gym (the main places I go to). My social and professional meetings are public, and with people that can honestly confirm my presence. Mr Tzortzis has not yet provided his followers with the police report that he claims to have filed.